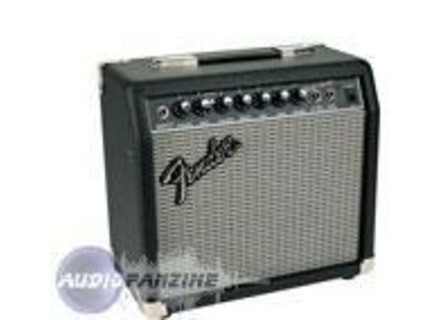 Bullet , Solid-State Combo Guitar Amp from Fender. iamqman's review"Bullet right through this amp"
This little amp was one of Fender's first offering int he world of DSP technology. This is the computer based amps that would use an multiple effects and the better bit rating for the effects. Today's DSP chips amps have a better processor and the ability to hook up to your computer and use the software to change you tone and settings. To me these amps are a little goofy and I just don't see the point. 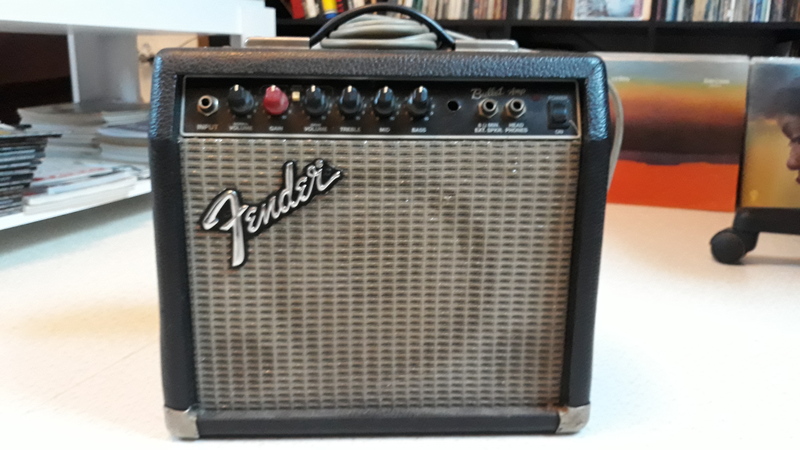 This amp is pretty cheap on the market and fizzled out quickly when it was first produced. The tone of this amp is not that great. The pure clean tone isn't that bad but when you add and type of distortion it gets fairly muddy and fizzy. he tone of the distortion is very fizzy sounding. Not at all appealing to the ears. There are a lot of effects built into this amp like Reverb, Delay, Chorus, Flange, Tremolo. 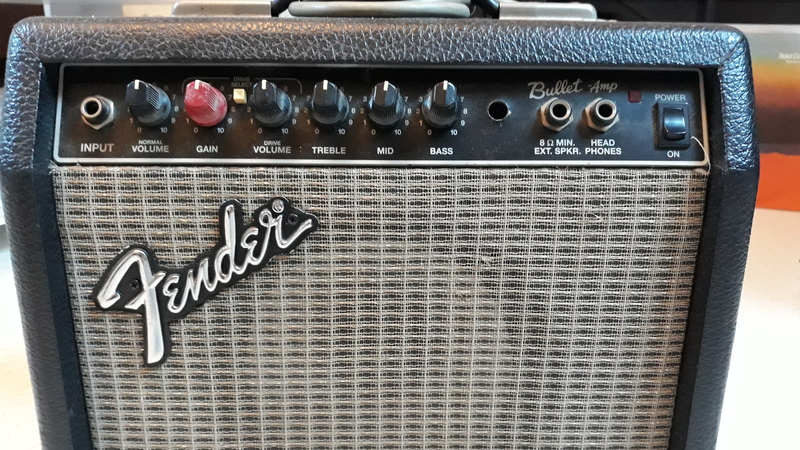 All of these effects sound pretty good and that isn't in question, the question I can seem to find answered is why does most Fender solid state amp's distortion play out to be not unusable. I mean the tone of the overdrive is just lousy and unusable. This amp is a big tonal let down, but not that the bar was set very high going into it. The tone of this amp is a big pass as much as it is for the whole amp. This amp can be ha on the used market for well under $100. I have seen them for around $35 and people wouldn't even bid on them. 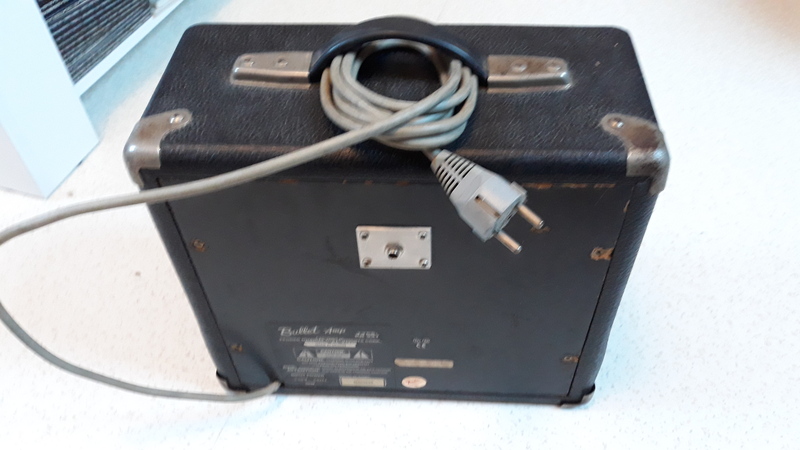 So if you really need a lousy practice amp you can probably score this one for around $20. Not a bad pick up if you can get it for that price. I do not recommend this amp. If you need a decent practice amp then good Peavey Vypyr. This is a solid-state amp, a medium-sized combo. There is really only an option for practice, and it's a good buy for beginners. It's a 2-channel (clean and distorted), and it's alright, really. It's got 1 1/4" input, it's got 15 watts of power. The picture above may not be accurate, as mine never had a footswitch in. Getting a good sound out of this might take a little time, but that's the same with any amplifier. I think that after an hour or so you'll know where to set it. The manual explains the thing pretty well. For a cheap practice amp, this sounds pretty awesome. The distortion is nothing that is going to impress anybody else, but when you're just practicing, this isn't necessary. It's reliable and versatile enough to enable you to practice a wide variety of styles. I'm sure that when it comes to practice, the cleans are satisfactory for most people, and the distortions even more so (if you're a fan of distortion). If you're not a fan of distortion, or you already have pedals, then this might not be for you. You'd be better off getting a better clean sound and using the pedal if you have one. The sound is a little flat so it can get old sometimes, but for a really small solid-state, it's a nice enough sound. The reverb is nice, feels like classic Fender spring reverb. This is a solid-state amp, a medium-sized combo. There is really only an option for practice, and it's a good buy for beginners. I think most parents would find this to be a good buy for their kids who are starting to play, as it won't break the bank but it'll still sound respectable. If a kid starts out with really bad gear, he's gonna lose interest in playing really soon. I feel like this would be a great amp for a kid to keep for awhile without losing interest. Even beyond that, it's relatively small, fits in most bedrooms, so it might even be ideal for college kids who want to keep up. 2 channels, one clean and one overdrive. Small, lightweight ideal for playing in his dorm room or take a trip. The sound is decent for this type of amp. The sound is clear the case and the saturation can range from a "crunch" has qqchose approaching a metal sound. It is very convenanble better than the marshall of the same type for comparison. Robust, but a friend goes everywhere. 15 W transistors good better than the marshall of the same type. <span style="text-decoration: underline;"><strong>Distortion channel super</strong></span> small volume. clear impeccable. The 15 W really impressed if you put an HP supplmentaire! you can rpter with no pb! The bullet is strong and great for small volume work, or even the occasional beef or repeated if we add a baffle 112 and even 212! one gets the impression of a 50 W or 100 W transistor. When connecting an ext HP, HP is cut from the amp. AND! we recognize more than the amp. I did some test Listen to friends who saw not what I played: Full bluffs. The fact that the fender prtend do not know distos?? I have since 1996: no pb! I do spares certainly not!